Five prominent cannabis policy reform advocates will be recipients of the Queen Elizabeth Diamond Jubilee Medal on January 24th. They were nominated by Senator Pierre Claude Nolin for their dedication to cannabis social justice and medical access for Canadians living with critical and chronic illness. Senator Nolin was the chairman of the Senate Special Committee on Illegal Drugs, which issued a report recommending cannabis be regulated and the government work with the medical cannabis dispensaries. 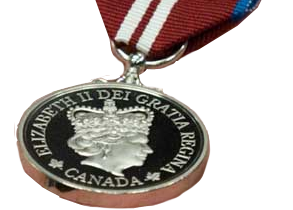 The medal is being awarded this year to 60, 000 Canadians to honour significant contributions and achievements. Hilary Black, Pioneer of the medical cannabis movement in Canada and founder of the BC Compassion Club Society, the first medical cannabis organization in Canada, founded in 1997. Rielle Capler, MHA, medical cannabis researcher and co-founder of Canadians for Safe Access and Canadian Association of Medical Cannabis Dispensaries, PhD Student at UBC. John Conroy, QC, practises criminal law with a focus on charter of rights issues, constitutional challenges and prison law reform. He has been the president of NORML Canada since 1978. John Conroy is one of Canada’s foremost cannabis law reformers. 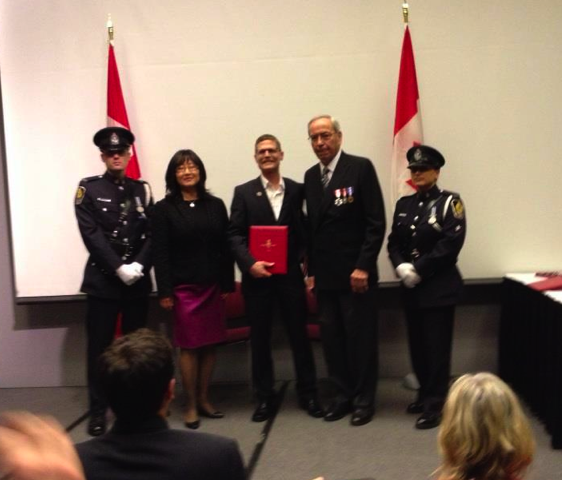 Philippe Lucas, MA, federally authorized patient, research affiliate with the Centre for Addiction Research of BC, founder of the Vancouver Island Compassion Club Society, co-founder of Canadians for Safe Access. Kirk Tousaw, Barrister and social justice advocate focusing on defending people charged with cannabis offences and medical cannabis related constitutional challenges. He is the executive director of the Beyond Prohibition Foundation. Editor’s note: David L. Nathan, a clinical associate professor at Robert Wood Johnson Medical School, was recently elected as a distinguished fellow in the American Psychiatric Association. He teaches and practices general adult psychiatry in Princeton, New Jersey. (CNN) — David Frum is one of today’s best and most reasoned conservative political voices, so his recent CNN.com op-ed on marijuana policy was just a little disappointing. Not because he advocates the drug’s decriminalization — he rightly thinks locking people up or arresting them for casual use is a bad idea — but because he opposes its legalization for adults. I agree with much of what he says about pot’s potential harm, especially for the young and the psychiatrically ill. Like Frum, I am a father who worries about my kids getting sidetracked by cannabis before their brains have a chance to develop. But I am also a physician who understands that the negative legal consequences of marijuana use are far worse than the medical consequences. Frum would reduce the punishment for marijuana use for adults but nominally maintain its illegality in order to send a message to young people that pot is a “bad choice,” as if breaking the rules wasn’t as much an incentive as a deterrent for adolescents. Kids are smart enough to recognize and dismiss a “because I said so” argument when they see one. By trying to hide marijuana from innately curious young people, we have elevated its status to that of a forbidden fruit. I believe a better approach is to bring pot into the open, make it legal for people over the age of 21, and educate children from a young age about the actual dangers of its recreational use. But these dangers are far surpassed by the perils of alcohol, which is associated with pancreatitis, gastritis, cirrhosis, permanent dementia, physiological dependence and fatal withdrawal. 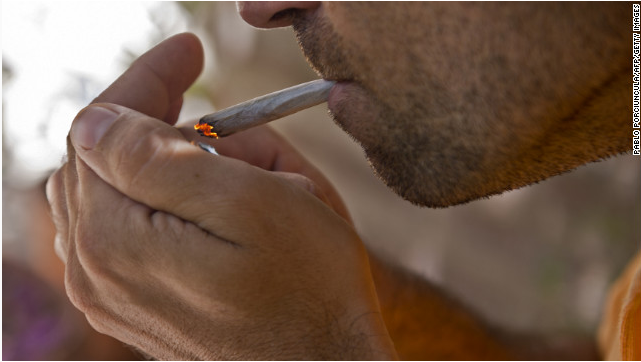 In healthy but reckless teens and young adults, it is frighteningly easy to consume a lethal dose of alcohol, but it is essentially impossible to do so with marijuana. Further, alcohol causes severe impairment of judgment, which results in violence, risky sexual behavior and more use of hard drugs. Those who believe cannabis to be a gateway to opioids and other highly dangerous drugs fail to appreciate that the illegal purchase of marijuana exposes consumers to dealers who push the hard stuff. Given marijuana’s popularity in this country, the consumption of more dangerous drugs could actually decrease if pot were purchased at a liquor store rather than on the street corner where heroin and crack are sold. There is another more pressing reason to legalize and regulate marijuana, even for the sake of our children: the potential for adulteration of black-market cannabis and the substitution of even more dangerous copycat compounds. Much like Prohibition-era fatalities from bad moonshine, harmful synthetic marijuana substitutes are proliferating, with street names like K2 and Spice. The Drug Enforcement Administration struggles to combat these compounds by outlawing them, but I see no decrease in their popularity among my patients. Natural marijuana poses much less danger than synthetic cannabinoids — legal or otherwise. So who had the bright idea of banning cannabis in the first place? Was it physicians? Social service organizations? No. The credit goes to the Federal Bureau of Narcotics, which in 1937 pushed through laws ending the growth, trade and consumption of all forms of cannabis, including the inert but commercially useful hemp plant. America’s ban on the so-called “Weed of Madness” was based on bad science and fabricated stories of violence perpetrated under the influence. The madness of cannabis can be ascribed not so much to its users, but to those who sought to criminalize the drug so soon after the monumental failure of alcohol Prohibition. That’s not to say our marijuana laws have failed to change drug use in America. Cannabis is more widely used today than at any time before its prohibition, even though it was domesticated in antiquity and has been cultivated ever since. Pot prohibition has also greatly increased illegal activity and violence. Otherwise law-abiding private users became criminals, and criminals became rich through the untaxed, bloody and highly lucrative illicit drug trade. But America can fix this mess through marijuana legalization. Federal, state and local governments can regulate the cannabis trade as they do with alcohol and tobacco — monitoring the production process for safety and purity, controlling where it is sold, taxing all aspects of marijuana production and consumption, and redirecting resources from punishment to prevention. Here’s an opportunity for a healthy start to the new year from the VDPMS, with a local twist! Let us help you keep your holiday pledge by shopping at our Winter Farmers Market on the 1st and 3rd Saturday of each month through March. Our hardworking farmers and producers are set up in Market Square from 11-3 selling their delicious locally harvested and produced food products. This Saturday we are excited to have the amazing Takafumi from Suntrio farm who will be selling sunflower sprouts, pea sprouts, buckwheat greens, sprouted mung bean and lentil, daikon radish, wheatgrass and wheatgrass shots. From the garden, delicious salad greens, mizuna, arugula, spinach and brazing greens. From the field, carrots, beets, and Jerusalem artichokes. You can expect spicy habanero jelly and their famous tomato sauce as well! Bundle up this Saturday and come out to Market Square and support the community that feeds you. Why: What could be better than local food?